After starring as Joseph in the iconic 1991 original production of Andrew Lloyd Webber’s classic, Jason will return to the show as the Pharaoh. Tickets are on sale from £24 – book now. Joseph and the Amazing Technicolor Dreamcoat will play a strictly limited 11-week season from Thursday 27 June until Sunday 8 September. 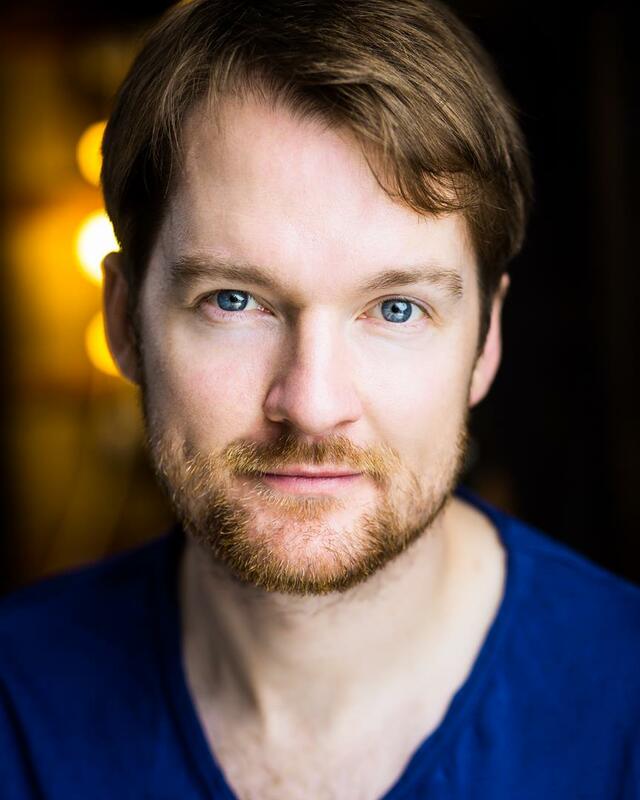 Jason joins Sheridan Smith, with the double Olivier Award winning actress recently announced as The Narrator. Casting for the role of Joseph is to be announced soon. Jason made his defining stage performance as the title character of Joseph in the 1990s, also at the London Palladium, in a sold-out 18-month run which produced a No.1 single and best-selling soundtrack album. It remains one of the most successful revivals of all time. Jason now returns to the show as Pharaoh, who rocks ‘Song of the King’ in the iconic musical by Andrew Lloyd Webber and Tim Rice, soon to be re-imagined in this brand new production. Jason became an international star with the role of Scott Robinson in Neighbours. The series went on to become one of the highest-rating shows in the UK, which led to Jason’s association and huge success with acclaimed producers, Stock, Aitken and Waterman. His debut album Ten Good Reasons was the biggest selling album of 1989, with career sales of 13 million albums and 4 UK No.1 singles. Following his Olivier-nominated portrayal of Joseph, he has gone on to star in The Rocky Horror Show, Chitty Chitty Bang Bang, Priscilla, Annie Get Your Gun, The Sound of Music, The King’s Speechand Million Dollar Quartet. On television he has featured in I’m A Celebrityand Strictly Come Dancing, Who Do You Think You Are, ITV’s Superstarand Piers Morgan’s Life Stories. Jason also appeared in ITV’s drama Echo Beachand he continues to play sell-out tours across the country. 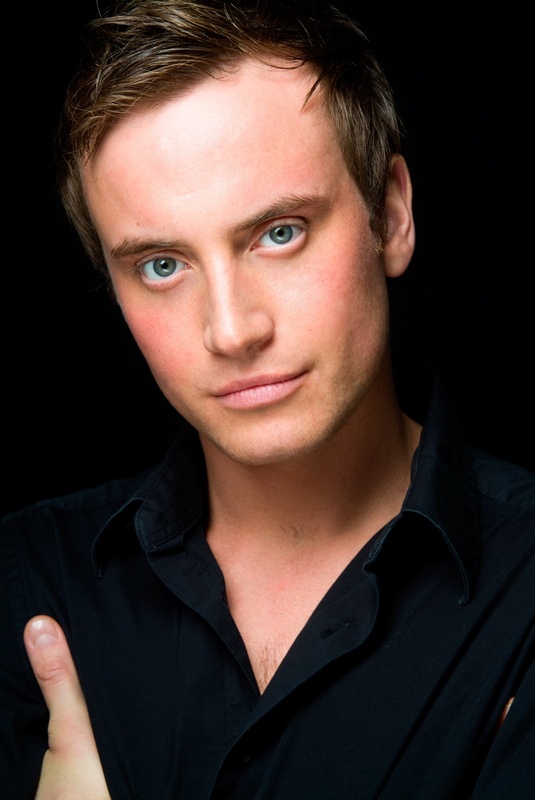 Joseph and the Amazing Technicolor Dreamcoat will be directed by Laurence Connor (School of Rock, Miss Saigon). Book tickets from just £24. Extension announced for Everybody’s Talking About Jamie! 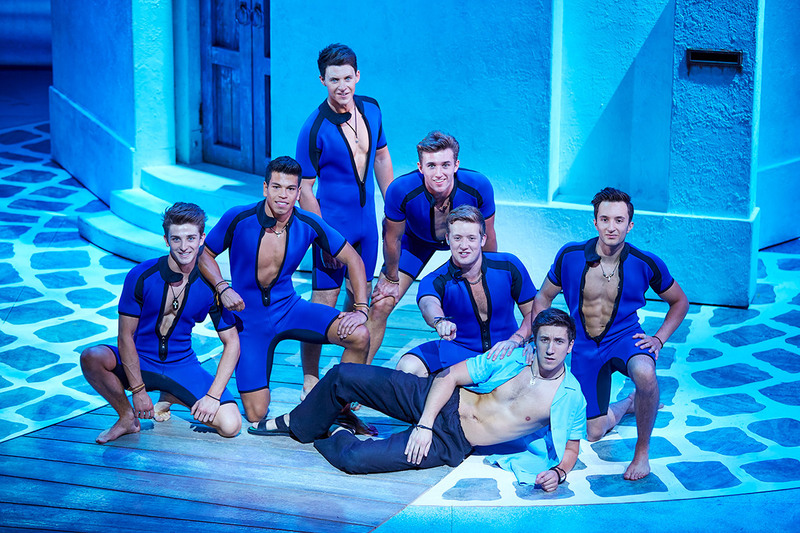 Everybody’s Talking About Jamie, the award-winning feel good musical sensation, announced on Friday the opening of a new booking period until Saturday 25 January 2020. 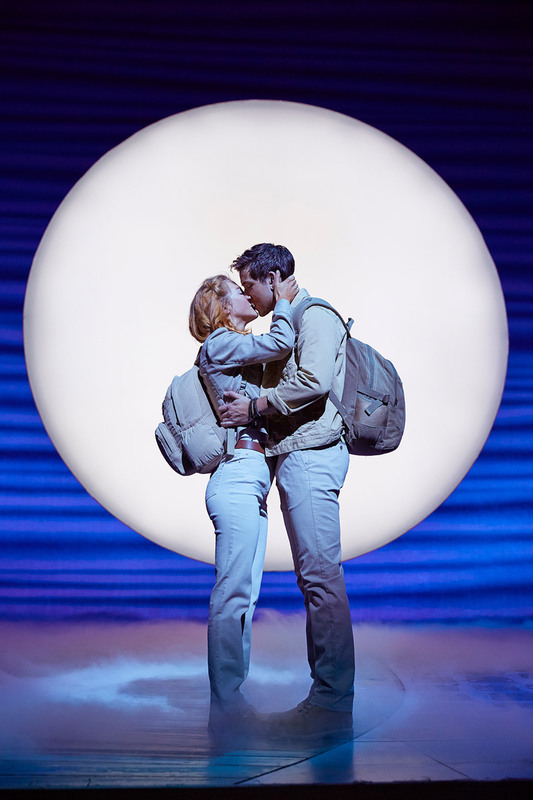 Dazzling audiences at London’s Apollo Theatre since November 2017 the musical is currently in its second year in the West End. Everybody’s Talking About Jamie won Best Original Cast Recording at the 2019 WhatsOnStage Awards on Sunday 3rd March, adding to its 3 WhatsOnStage Awards, which included Best New Musical in 2018. If you haven’t already bought tickets to this smash-hit sensation, you can grab them here. March 8th marks 2019’s International Women’s Day and we are certainly feeling the empowerment here at From The Box Office. This year we’ve teamed up with Tina – The Tina Turner Musical and Wicked to talk to the cast members and production teams about the importance of the day itself and the progress of women in theatre. Check out our exclusive quickfire interviews below! 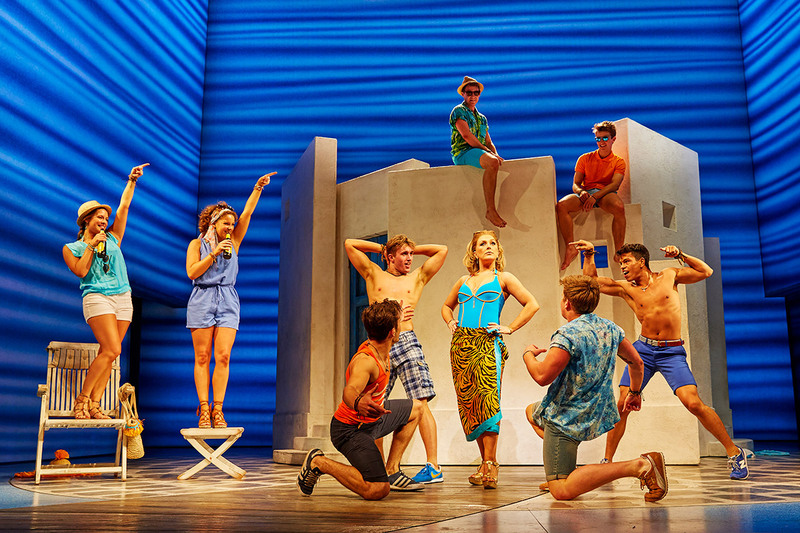 Click to learn more about the smash-hit musical that has taken the West End by storm! Click to learn more about the incredible West End spectacular, which is now celebrating its 13th year! After what has so far been a star-studded, critically acclaimed season, there’s still plenty of excitement and celebrity appearances in store in Pinter At The Pinter. Don’t miss out on the likes of Martin Freeman, Danny Dyer, Gary Kemp and Rupert Graves in the final shows of the season, book tickets now. The final of the Pinter season plays is set to star Hollywood charmer and Golden Globe winner Tom Hiddleston. The Night Manager and Avengers star will be playing the lead role in Harold Pinter’s Betrayal for a strictly limited 12 week season from March 8th, book tickets here now. Katharine McPhee (American Idol, Waitress on Broadway, Smash) joins the WAITRESS London cast to play Jenna, a waitress and expert pie-maker who dreams of a way out of her small town and rocky marriage. Pouring her heart into her pies, she crafts desserts that mirror her topsy-turvy life. Opening in February, book tickets now. Starring Rosalie Craig, Patti Lupone & Mel Giedroyc, experience Company, the legendary Broadway musical, as never before. Winner of two Evening Standard Awards 2018, don’t miss out on the limited run at the Gielgud Theatre. Book tickets now from £13.50 – ends March 30th. The award winning musical Man of La Mancha returns to London, starring Kelsey Grammer and Danielle de Niese. Featuring the iconic song ‘Dream the Impossible Dream’, Man of La Mancha is inspired by Miguel de Cervantes’s masterpiece. Tickets start from just £18, book now. Kit Harington (Game of Thrones, Doctor Faustus) and Johnny Flynn (Beast, Genius) star as warring brothers Austin and Lee in the West End Premiere of Pulitzer Prize-winner Sam Shepard’s ferociously funny, modern classic, True West. Book now and save up to 45% on tickets – ends 23rd February! 9 to 5 is about to get down to business – with a strictly limited season at the West End’s Savoy Theatre. 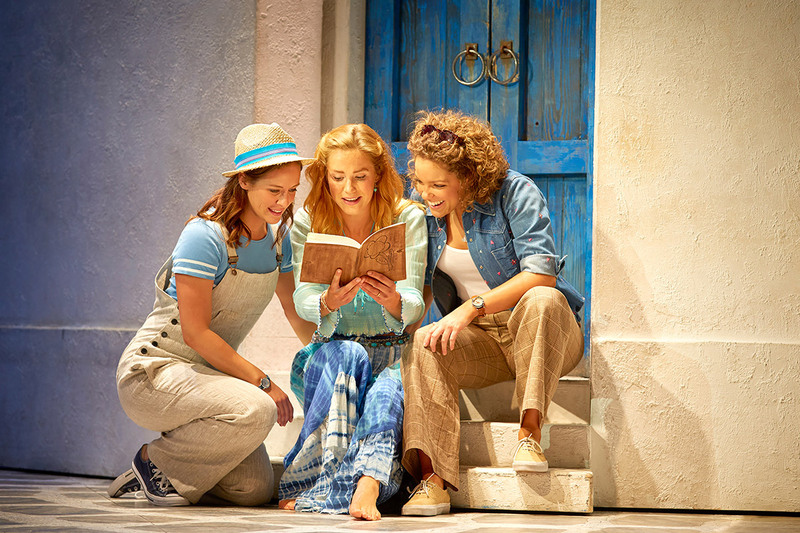 Starring Louise Redknapp, Amber Davies, Natalie McQueen and Brian Conley, the smash-hit musical features a book by the iconic movie’s original screenwriter. Book tickets now from £24. Katherine Parkinson (The IT Crowd, Humans) reprises her acclaimed role as Judy, in Laura Wade’s fizzing comedy about one woman’s quest to be the perfect 1950’s housewife. How happily married are the happily married? You can find out from January 26th, book tickets now. Critically-acclaimed director Sam Mendes (Skyfall, King Lear) returned to the National Theatre to direct Ben Power’s English version of Stefano Massini’s vast and poetic play, which was a hit across Europe, with Simon Russell Beale, Adam Godley and Ben Miles playing the Lehman Brothers, their sons and their grandsons. The West End transfer opens in May and you can book tickets now from just £21.60. Tom Hiddleston to return to the West End! Get ready to celebrate #Hiddlestoners, Tom Hiddleston is set to return to the London stage following his acclaimed performance in Hamlet, directed by Kenneth Branagh, and his Evening Standard Award-winning performance in Coriolanus at the Donmar Warehouse in 2014. Forty years to the day of the first ever performance of Harold Pinter’s Betrayal on 15 November 1978, The Jamie Lloyd Company announced that Golden Globe, Olivier and Evening Standard Award winner Tom Hiddleston will play Robert in Jamie Lloyd’s new production at the Harold Pinter Theatre from 5 March 2019 for a strictly limited season ending on 1 June. Further casting to be announced. With poetic precision, rich humour and an extraordinary emotional force, Betrayal charts a compelling seven-year romance, thrillingly captured in reverse chronological order. The complexities of the human heart are explored in this, “the greatest, and the most moving, of all Pinter’s plays” (The Daily Telegraph). Betrayal was first produced by the National Theatre in 1978. The original cast featured Pinter at the Pinter company members Penelope Wilton and Michael Gambon. Pinter at the Pinter is the unprecedented season of Harold Pinter’s work, marking ten years since the Nobel Prize winner’s death. The season celebrates the most important playwright of the 20th century in the theatre that bears his name. Tickets for the final show of the critically-acclaimed season will go on sale on 30th November. You can book tickets now for the rest of the season, which stars Lee Evans, Martin Freeman, Danny Dyer and Gary Kemp, to name just a few. There will be a pre-sale for theatre-goers that have already purchased tickets for the Pinter At The Pinter season on November 29th – you can still book tickets and access this pre-sale here! You can also click here to sign up and be the first to hear when tickets for Betrayal go on general sale. Paul Anderson and Audrey Fleurot will star in the West End’s first ever dual language production: a new adaptation of Moliere’s Tartuffe. Adaptor Christopher Hampton and director Gerald Garutti have reimagined this 1600s French classic as a darkly comic story of human frailties set in present-day L.A. When French film tycoon Orgon relocates to Tinsel town with his family, he has his heart set on becoming Hollywood royalty. And with a palatial Beverly Hills mansion and new studio to his name, he seems well on his way to establishing an infallible empire. But Orgon soon falls under the seductive spell of a radical American evangelist named Tartuffe. Completely hoodwinked, Orgon risks losing his fortune and family to Tartuffe’s sly machinations. The so-called evangelist plans to steal Orgon’s vast wealth, drive away his son, seduce his wife, and marry his daughter. Will Orgon come to his senses before it’s too late? In 1664, Tartuffe, or The Imposter was regarded as one of Moliere’s best plays. Today, it’s a trenchant mockery of human frailties set against the backdrop of Donald Trump’s America. Both then and now, it’s a humorous tale with an undercurrent that’s frighteningly relevant. The production finds a fitting home at the Theatre Royal Haymarket, which was nicknamed “The New French Theatre” after its opening in 1720. To reflect its swiftly unfolding plot, the play will alternate between English with French surtitles and French with English surtitles. In the title role of the radical evangelist is Paul Anderson, known for his star turn in the hit drama Peaky Blinders, as well as leading roles in The Revenant, In the Heart of the Sea, and Sherlock Holmes: A Game of Shadows. Playing Orgon’s wily, strong-willed wife Elmire is French star Audrey Fleurot. Fleurot’s stage and screen roles include playing The Lady of the Lake in Kaamelott, Joséphine Karlsson in Spiral (BAFTA nominated), Hortense Larcher in Un village francais, and Magalie in international hit The Intouchables. She also played herself in Netflix’s Call My Agent! / Dix pour cent! Additional casting has not yet been announced. Adapting Moliere’s classic comedy is Academy, BAFTA, and Olivier Award-winning writer and director Christopher Hampton, whose vast screenplay credits include Dangerous Liaisons (Oscar winner), and Atonement. For the stage, Hampton has worked on an Olivier Award-winning adaptation of Les Liaisons Dangereuses, Sunset Boulevard, and several original plays including Appomatox and The Talking Cure. Director Gerald Garutti is well-poised at the helm of this dual-language production: he’s directed an English performance of Dangerous Liaisons at the Royal Shakespeare Company and is the former dramaturg of the French National Theatre (Théâtre National Populaire, 2006-11). His many other productions include Notes from the Underground, The Fall Of The House of Usher, and the sell-out French production Brief Praise of Night. Ben Lewis and Kelly Mathieson. Photo by Johan Persson. That’s right: Andrew Lloyd Webber’s musical The Phantom of the Opera has now played over 12,000 performances at Her Majesty’s Theatre in London. In fact, it’s the second longest running musical in the West End. The popular musical about the witches of Oz opened in London in September 2006. That means it’s now been defying gravity for a little over 11 years. But seriously, if your true love did get you tickets to Hamilton, marry him or her immediately. The Tony-winning musical from Lin-Manuel Miranda transferred to the West End earlier this month, but tickets are hard to come by. If you’re feeling lucky, try entering the £10 ticket lottery. That’s what Harry Potter and the Cursed Child got for an early Christmas present this year. In racking up all those Tony wins, the play broke a record. Magic? Quite possibly. This year, Delfont Mackintosh Theatres (owned by Sir Cameron Mackintosh) finished restoring the Victoria Palace Theatre just in time for Hamilton. Sir Cameron Mackintosh, producer of shows like Les Misérables and Phantom of the Opera, owns a total of eight theatres in London: Prince Edward, Prince of Wales, Novello, Gielgud, Queen’s, Noël Coward, Wyndham’s, and the Victoria Palace. That’s the runtime for the National Theatre’s production of Tony Kushner’s landmark play. With a great cast including Andrew Garfield (who won Best Actor at the Evening Standard Theatre Awards for his performance), no one seems to mind the incredible length of this production. We counted at least six theatre performances this year that catered to autistic audiences – including plays in both London and New York. Here’s to even more autism friendly performances in 2018. That’s what Jez Butterworth’s new play The Ferryman got this year – in addition to a host of awards and a great deal of hype – which according to The Evening Standard is fully justified. The Ferryman received five-star reviews from The Independent, The Stage, The Guardian, The Evening Standard, The Financial Times, and others. You’re very likely to see four ghosts if you attend The Old Vic’s new production of A Christmas Carol this holiday season. This version of the Dickens classic, which looks gorgeous, stars Rhys Ifans and features a script by Jack Thorne. 2017 was the year of Hamlet. At the same time last summer, there were not one, not two, but three productions of Hamlet running in London. In one production, Kenneth Branagh directed Tom Hiddleston in the role of the Danish prince; in another, Robert Icke directed Andrew Scott; and yet another starred Gyles Brandreth at the Park Theatre. Now, which one to go to? That was the question. After making a name for itself on Broadway, J.T. Rogers’ Tony Award-winning play Oslo touched down in the West End in September and is now playing at the Harold Pinter Theatre. The play tells the story of two Norwegian diplomats who arranged top-secret meetings between Israel and Palestine, culminating in the Oslo Accords of 1993. 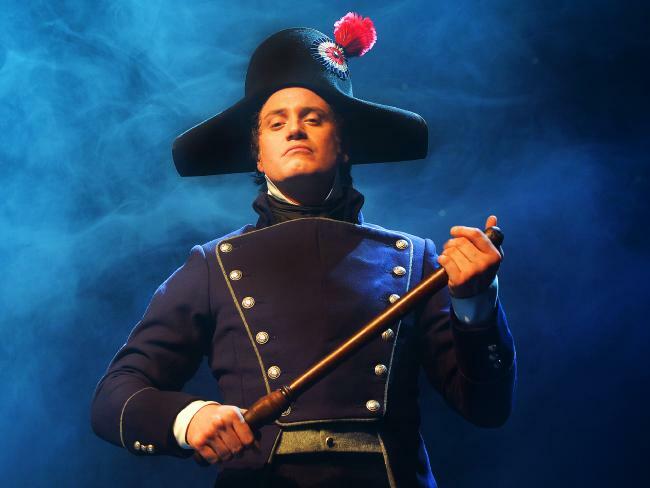 The Act I finale from Les Misérables is officially Britain’s favourite showtune – according to a recent poll by theatre website WhatsOnStage. “Defying Gravity” ranked as the second most popular, followed by “The Phantom of the Opera”, “Bring Him Home”, and “Being Alive.” All good songs, indeed. What was the best theatre-related gift you received this year? Putting the money where your stage is: Does splashing the cash on a show pay off? Mounting a world-class Broadway or West End show is a risky business: in the hopes of wooing big audiences, producers often pour millions of dollars into a production. But if the show flops, no one gets their money (and sometimes reputation) back. So is the budget of a show a predictor of its success? Also known as the most expensive mistake in West End history, The Lord of the Rings musical ended up costing £19 million to mount (with inflation, that’s about £22 million), making it the costliest West End musical ever. But the show got mixed reviews and closed after barely a year in the West End. According to Baz Bamigboye (Daily Mail) “selling the story of Middle Earth to Middle England in term-time has proved difficult.” That was an understatement: the show lost the whole of its initial investment. Definitely didn’t “rule them all” or even “bring them all” to the theatre…. Following its successful Broadway run, Disney opened a London production of The Lion King musical in 1999 that cost an estimated £18 million (£22.5 million with inflation). That staggering investment has proven worthwhile, though. An incredibly clever stage design mixed with a classic Disney story have ensured enough bums on the Lyceum Theatre’s seats for over 10 years so far, despite tickets priced at an eye-watering £150 per seat. Not only has the show merely paid itself off; it’s also become one of the most profitable shows in the history of the West End, grossing more than $6.2 billion worldwide as of 2014 – and much more than that by now. Wicked opened in London in 2006, after a successful Broadway run. By today’s standards, the show cost around £13 million to produce. Initially, it got poor reviews. But with its unique spin on a classic story, an indomitable heroine, and the central friendship between Glinda and Elphaba, Wicked quickly grew into one of the most popular musicals out today. 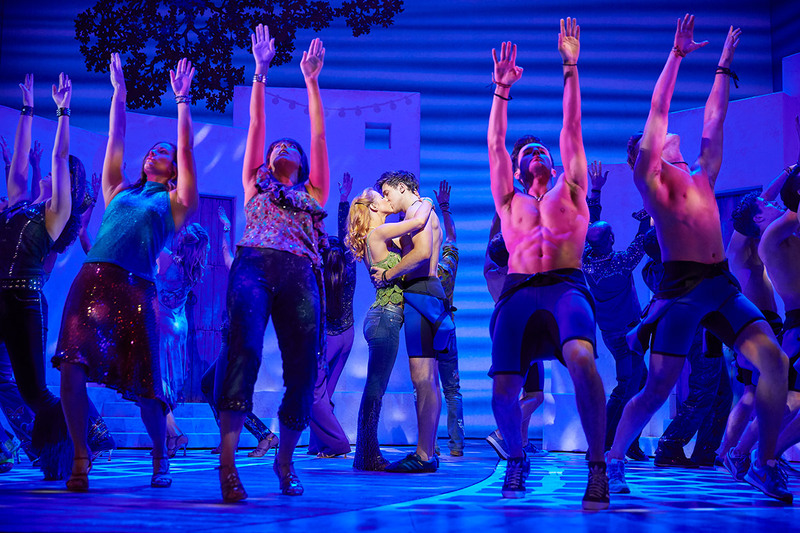 The show has repeatedly broken box office records in both London and on Broadway, grossing $1.12 billion on Broadway and $4 billion worldwide over the course of its 13+ year run. In fact, the musical just surpassed Phantom of the Opera as the second highest grossing show in Broadway history, and the London show has been playing for nearly eleven years. Spider-Man: Turn Off the Dark had a lot going for it: everyone’s favorite human spider, music by Bono, and crazy special effects. Sadly, none of that helped the producers recoup the $75 million (now $81.6 million with inflation) they spent on the show. It opened in 2011 and closed in early 2014. The producers lost about $60 million. So why did it fail? 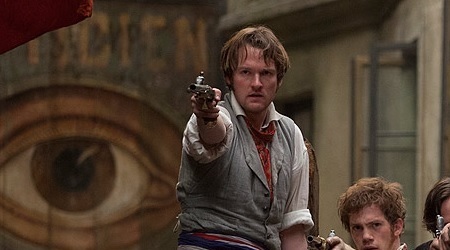 Reviews emphasized how the show’s crazy number of acrobatics and effects came at the expense of character development and good storytelling. Spider-Man also had a long trial period (183 previews) during which an infinite number of things went wrong: there were often technical difficulties, and several actors were injured. Shrek the Musical opened in December 2008 with a budget that amounts to $28.5 million with inflation. Despite fairly good reviews, the show closed in January 2010 after a run of just over 12 months. In the end, it seems Shrek was just too expensive to run, and audiences just weren’t that into it. Currently, the show is on tour, trying to recoup its financial losses. When it comes to musicals, Disney spares no expense. And in this case at least, the expense was justified. The Lion King – the third most expensive musical in Broadway history – opened in 1997 and is still going strong, with productions on Broadway and in the West End. It’s currently the highest grossing musical in Broadway history, having made around $1.38 billion on Broadway during its nearly 20 year run. The Lion King’s appeal is timeless and spans generations – with a multi-layered story, memorable characters, dazzling costumes, and a killer score – this may explain why it’s been so successful. So which other musicals have recouped their production costs and then some? When it opened in 1988 with a production cost of $8 million ($16.5 million today), Andrew Lloyd Webber’s The Phantom of the Opera set a record. It’s since been outstripped by more expensive shows, but in terms of popularity, it’s still up there. The musical has been running in London for 30 years, and has made $1.11 billion on Broadway and over $6 billion worldwide. Other distinctions include seven Tony Awards, a feature film, and a record as the longest running show in Broadway history and the second longest running show in the West End. Best of all, it didn’t cost $75 million to mount (sorry, Spider-Man). Like Lion King, Phantom has a gorgeous aesthetic and a story that appeals to both older and younger audiences. It also has some of the most memorable music in theatre, and special effects that are jaw-dropping but don’t detract from the story. Hamilton cost over $12 million to mount, but its producers have already earned that money back with a bonus. Currently in its second year, the show makes roughly $600,000 a week, $100 million a year on Broadway, and $80 million a year in Chicago. Its inventive score (American Founding Fathers rapping), engaging historical narrative, diverse casting, and strong emotional appeal are all factors in Hamilton’s success. But beyond that, the show’s use of social media for publicity is (dare we say?) revolutionary, and Hamilton has also received a lot of attention from celebrities and politicians. Les Miserables opened on Broadway in 1987 with a production cost of $4.5 million ($9.6 today). Despite that relatively low cost, the show went on to enjoy a 30 year run on Broadway and a 32 year (and counting) run in London, where it’s currently the longest running musical in West End history. 50 major theatre awards, 31 cast recordings, a major motion picture, multiple tours, and a school edition round out the musical’s many accomplishments. Elements that contribute to this show’s success include a highly singable score, seamless choreography and stage transitions, a host of varied but deeply engaging characters, and a high emotional impact. Les Miserables demonstrates that, “at the end of the day,” a musical without a high production budget can still be extremely successful. Billy Elliot the Musical premiered in London in 2005, and ran successfully for 11 years, until 2016. The £5.5 (£7.7 today) million which the producers poured into the show appears to have paid off. Despite some “rough edges,” critic Charles Benson (The Telegraph) wrote that the musical has “a rawness, a warm humour and a sheer humanity… that are worlds removed from the soulless slickness of most musicals.” The show won four Olivier awards, including Best New Musical, and went on to play in Australia and New York, where it picked up 10 Tony Awards. Even further down the scale is Jonathan Larson’s Rent, which only cost $3.5 million to produce. Nevertheless, it ended up grossing nearly $300 million, and won a Pulitzer Prize and four Tony Awards (including Best Musical, Best Score, and Best Book). The musical also got a film adaptation, a touring production, and a 12 year run on Broadway. It launched Idina Menzel’s career and heavily inspired Hamilton creator Lin-Manuel Miranda. So why did a show with such a small production budget do so well, when Spider-Man flopped despite its $75 million? Part of Rent‘s popularity hinged on its new approach to musical theatre. The show took an old story (Puccini’s La Boheme), infused it with a pop-style score in the vein of Hair, and adapted it for a contemporary audience. It also sold the first-ever Broadway rush tickets, opening up the theatre to people who couldn’t normally afford it. In most cases, a higher production cost doesn’t necessarily mean a higher rate of success. In fact, many of the most popular musicals in Broadway history were produced at a relatively low cost. By contrast, pouring a ton of money into a show still in its infancy is a big risk, and much of the time, you won’t get that money back. Some of the shows with the highest production costs (both West End and Broadway) have also been some of the biggest flops. So unless you’re The Lion King, it’s probably best to cut production costs where possible. In most cases, a budget of around £13 million ($16 million) or less seems to be the sweet spot. You can increase your show’s chances by avoiding crazy special effects and not just rehashing a story that’s already been told. Rather, be inventive, master the art of publicity, and get a rock-solid score. Even then, show business is a risky enterprise. Shhhh…Strictly’s West End Secrets Revealed! The glitter ball is back…and it might be borrowing more from the West End’s Theatres than you think! 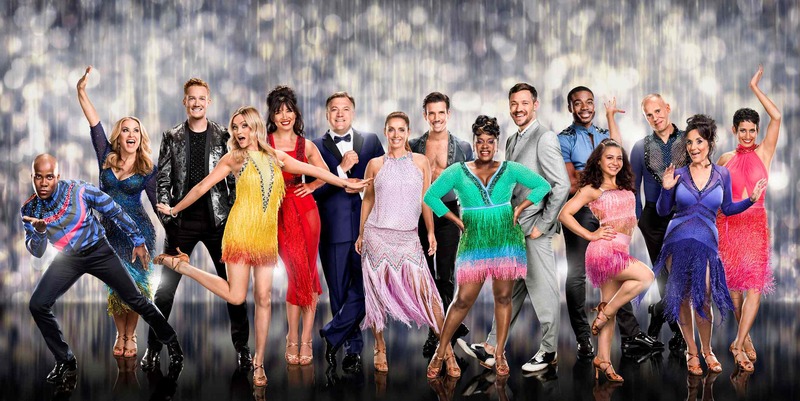 This weekend is the Series 14 launch of Strictly Come Dancing and since the show began back in 2004, we’ve seen hundreds of celebs shimmy, foxtrot and cha-cha-cha their way across the sequin-strewn dance floor. Little surprise then that so many of the judges, contestants and professional dancers have appeared in the West End, prior to, or in some cases as a result of appearances on TV’s top rated entertainment show! Join us for a waltz around the world of Strictly West End Theatre. Strictly Come Dancing owes much to the traditions of light entertainment, where TV personalities learned their trade in the theatres and musical halls of Britain’s towns and cities. 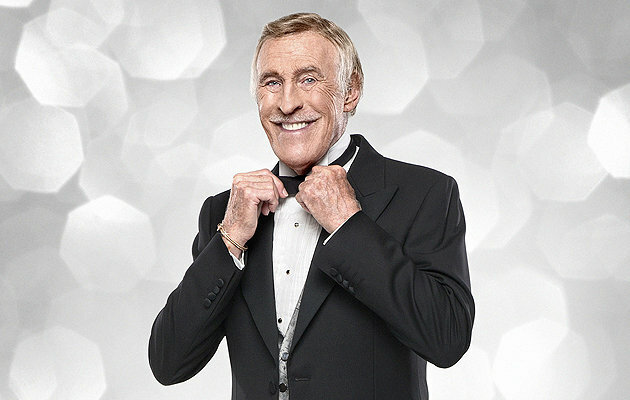 Brucie also appeared in numerous films, including Star! with Julie Andrews and Bedknobs and Broomsticks with Angela Lansbury. 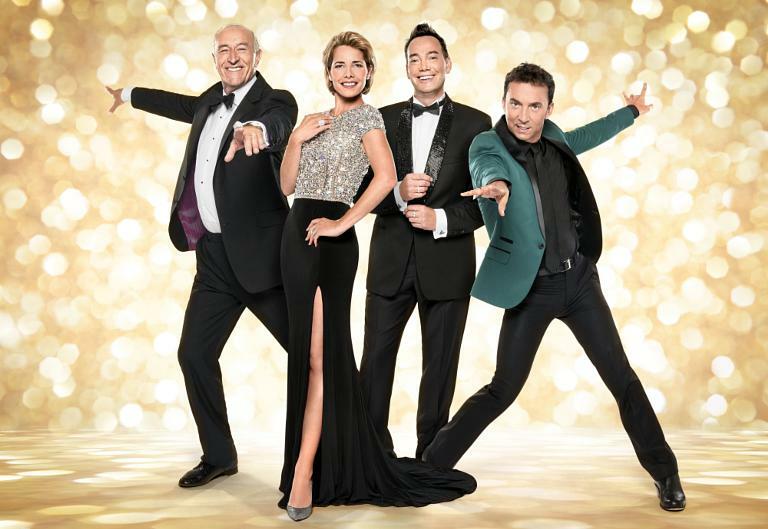 Ronnie Corbett is one of only five people ever to present the SCD main show…the others being Bruce Forsyth, Tess Daly, Natasha Kaplinsky and Zoe Ball. West End Credits as a choreographer: Spend, Spend, Spend, Beautiful and Damned, Six Dance Lessons in Six Weeks, Hey Mr Producer! West End Credits as a choreographer: Time, Fire Angel, Starlight Express, Grease, Saturday Night Fever, We Will Rock You, The Sound of Music, Flashdance and The Wizard of Oz. An illustrious career at the Royal Ballet, Covent Garden propelled Darcey Bussell to worldwide fame as a Prima Ballerina. Before joining the Royal Ballet School at 13, Darcey attended Arts Ed. Vincent & Flavia have enjoyed West End seasons at the Phoenix Theatre (Midnight Tango) and Aldwych Theatre (Dance ‘til Dawn). The pair returns in 2016 for The Last Tango. Kristina and Robin fronted the 2013 return of Burn the Floor (see also Ali Bastian & Brian Fortuna) at the Shaftesbury Theatre. The show also featured the then less well-known Kevin Clifton, Karen Hauer and Aljaz Skorjanec. Anton and Erin Cheek to Cheek was seen as part of the 2009 Sadler’s Wells Dance Season at the London Coliseum. *Ali is the only Strictly celebrity to perform on the West End stage with her professional partner (Brian Fortuna). West End Credits: Judith Bliss (Hay Fever), Sheila (Relatively Speaking), Mrs Warren (Mrs Warren’s Profession), Florence (The Vortex), Julia (Fallen Angels) plus many more performances at the National Theatre and throughout the West End. West End Credits: Eliza Doolittle (Pygmalion), Evelyn (Absent Friends), Giny (Relatively Speaking). *Away from the West End, in 2015, Kara played Maria in the live TV broadcast of The Sound of Music to rave reviews. West End Credits: Mama Morton (Chicago), Joan Crawford (Bette & Joan), Chris Harper (Calendar Girls), Mrs Meers (Thoroughly Modern Millie) Gladys (Pyjama Game) and Budgie with Adam Faith. Series 3 and 11 are the ONLY series where we couldn’t find a contestant with links to West End Theatre. *Pixie trained at Italia Conti and appeared in Chitty Chitty Bang Bang at the Palladium aged just 13. So, what sequinned surprises lie in store for the contestants of series 14? Well, keep a close eye Eastenders’ Tameka Empson who has West End form and put in a fine comedy turn as Billie in Our House, Pop Star Will Young whose performance as the Emcee in Cabaret earned him an Olivier Award nomination, and Lesley Joseph whose packed career includes a West End stint as Miss Hannigan – a role she has shared on tour with Judge Craig Revel Horwood. 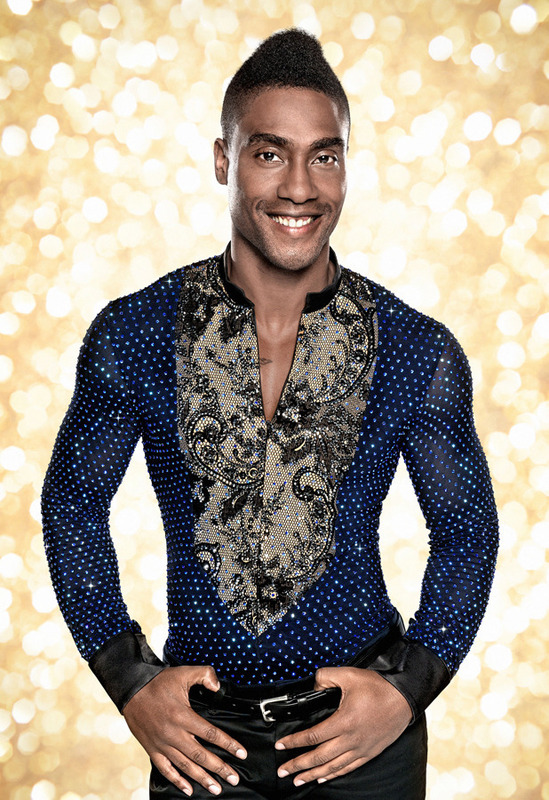 SCD Series 14 contestants also include: Anastacia, Claudia Frangapane, Daisy Lowe, Danny Mac, Ed Balls, Greg Rutherford, Laura Whitmore, Louise Redknapp, Melvin Odoom, Naga Munchetty, Ore Oduba and Robert Rinder. Tess and Claudia – back together for series 14…and we can’t wait! The new series launches on Saturday 3rd September BBC One at 6.50pm and runs until 8.15pm and will be available on BBC iplayer immediately after broadcast. It seems likely that the full series 14 will then begin on Friday 23rd & Saturday 24th if BBC scheduling runs to form, with the series finale broadcast on Saturday 17th December (the weekend before Christmas). Be sure to vote for your favourites and most important of all…keeeeeep dancing! Entertainer Ronnie Corbett has died at the age of 85. Best known for entertaining the nation in The Two Ronnies, this diminutive genius also lit up the London Palladium in a glittering career on Stage, Screen and TV. Ronnie developed a love of the stage performing in amateur pantomimes and attended stage school in Edinburgh. Spotting Ronnie’s enormous talent, Sir Cedric Hardwicke encouraged him to pursue a career on stage.